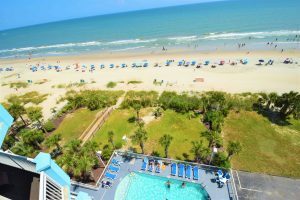 Here are some of the many reasons to visit Myrtle Beach and stay at the Ocean Blue Resort Myrtle Beach. 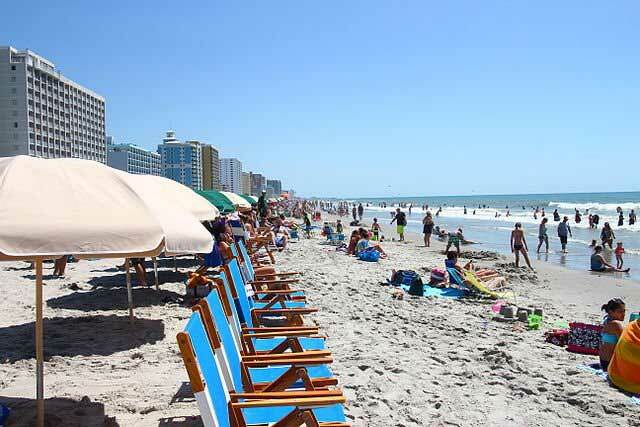 The beautiful white sandy beach of Myrtle Beach. Parasailing, banana boat rides, jet ski rentals, etc. 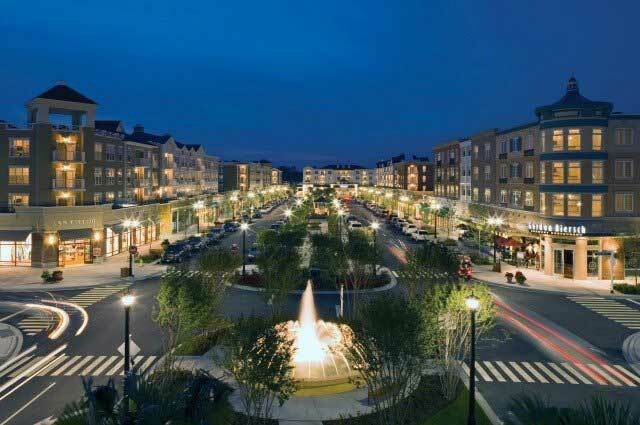 A new upscale downtown area to satisfy your shopping, dining, and movie theater cravings. Savannah’s playground, a playground for kids of all ages and abilities featuring ADA approved equipment. 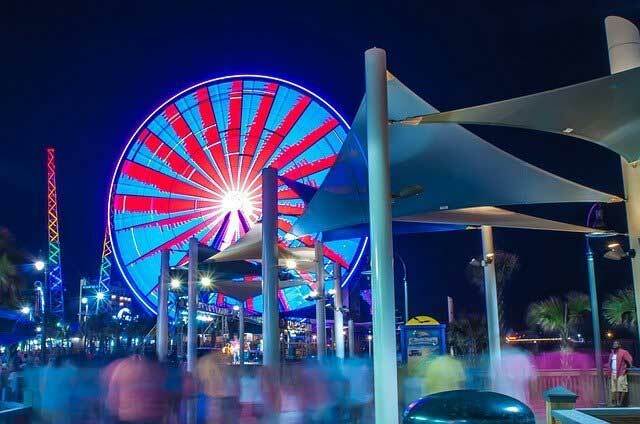 Amazing views of the Grand Strand from the Myrtle Beach Skywheel. 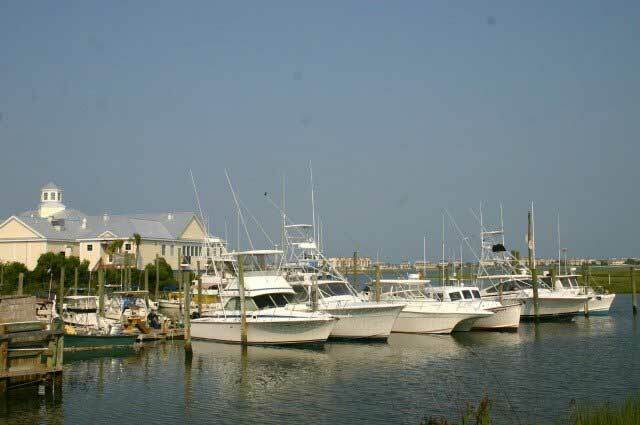 Deep sea fishing in nearby Murrels Inlet. Pick from party boat or private boat charters. Visit the many restaurants along the Marshwalk. 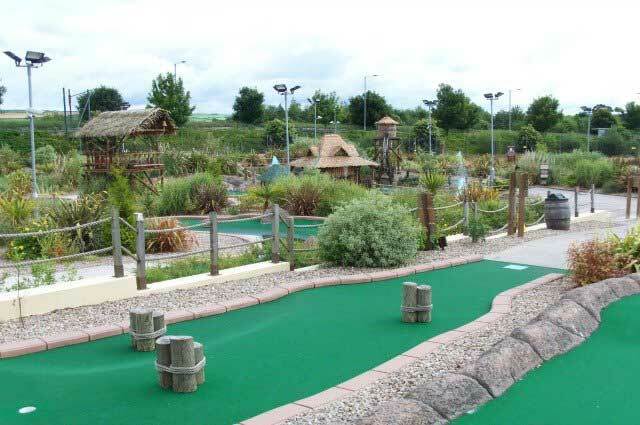 Many golf and miniature golf courses in the Grand Strand. 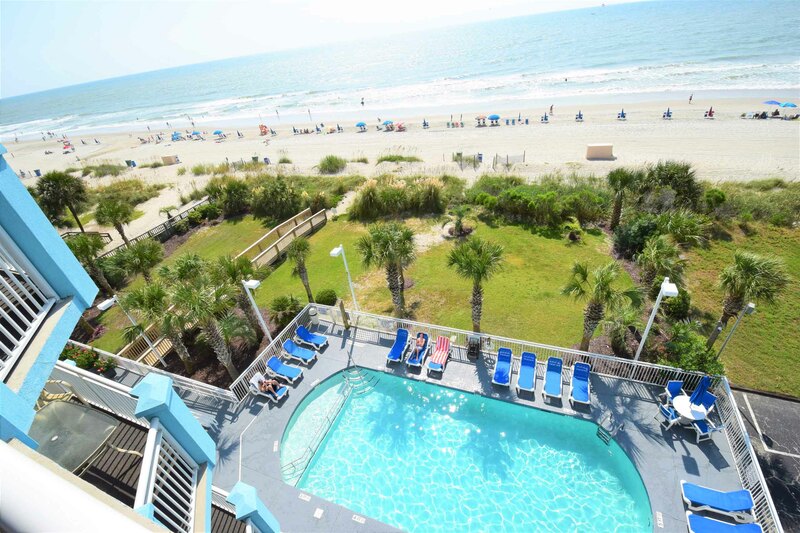 Ocean Blue Resort Myrtle Beach contains direct oceanfront luxury condos located in Myrtle Beach, South Carolina. 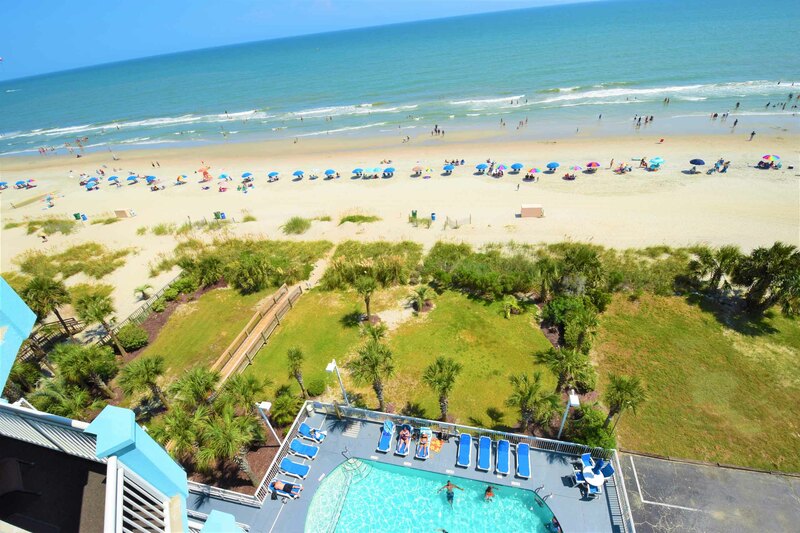 Ocean Blue Resort Myrtle Beach contains only 36 condos on 12 stories. All of the condos in Ocean Blue are either 4 or 5 bedroom condos. 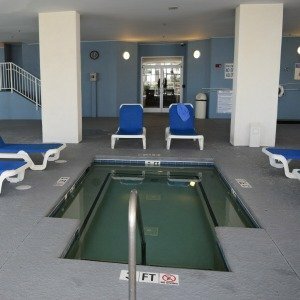 Ocean Blue Resort Myrtle Beach amenities include an outdoor oceanfront pool, and an indoor/covered* heated pool, jacuzzi, and indoor/covered lazy river. The above video shows many pictures of the amenities at the Ocean Blue Resort as well as views of the property from the beach and the street. We are the owners of Ocean Blue 503 and Ocean Blue 803. Both of our condos are available as vacation rentals that can be booked directly from the owners. Booking directly from the owner will result in the lowest rates since service fees/commissions won’t need to be paid to the listing websites. 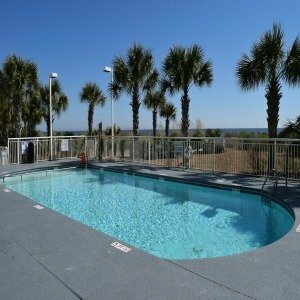 Our 5 bedroom oceanfront condos are located on the desirable south side of the Ocean Blue Resort Myrtle Beach. The neighboring motel/hotel to the south of the Ocean Blue Resort is only 4 stories tall. 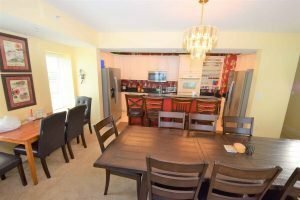 The 5 bedroom condos on the south side above the 4th floor have unobstructed views of the beach from the side windows in addition to the floor to ceiling oceanfront windows. 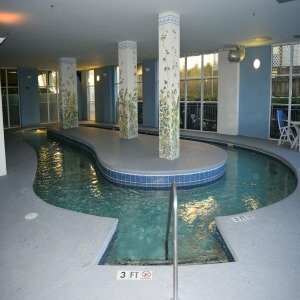 The 5 bedroom condos in the Ocean Blue Resort span from the ocean side of the building to the street side of the building. They have balconies on both the ocean side and the street side of the building. 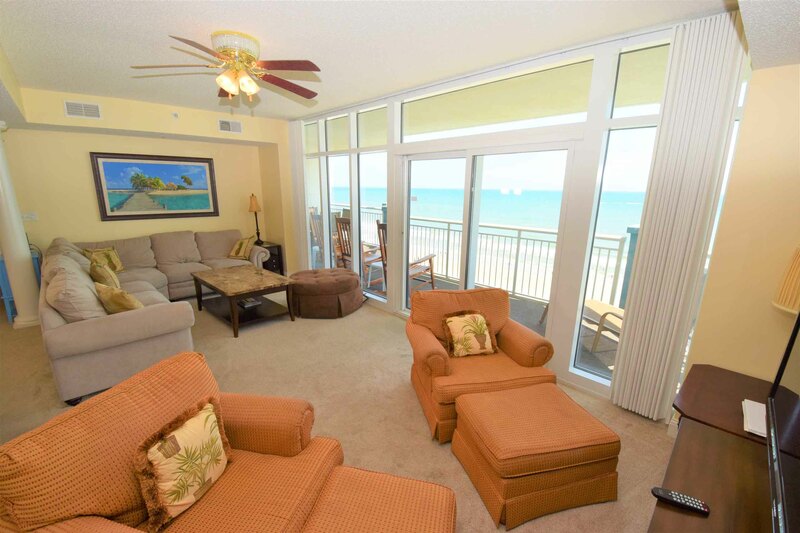 Only 9 of the condos in the Ocean Blue Resort have these unobstructed ocean views from the side windows! 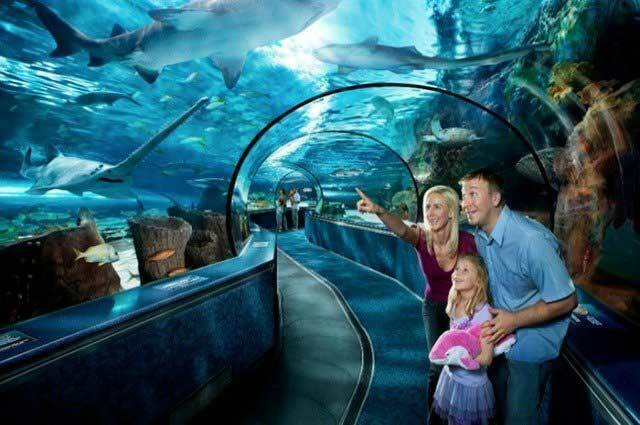 *During the hurricane season, the city of Myrtle Beach regulations require the windows to be removed from the indoor pool area. At over 2800 sq feet, Ocean Blue 503 is a 5 bedroom and 4 bathroom direct oceanfront condo in the Ocean Blue Resort Myrtle Beach. Ocean Blue 503 sleeps 12 people, assuming a mixture of adults and children. We don’t recommend adults sleeping in the bunk bed. Ocean Blue 503 does not have a sleeper sofa. 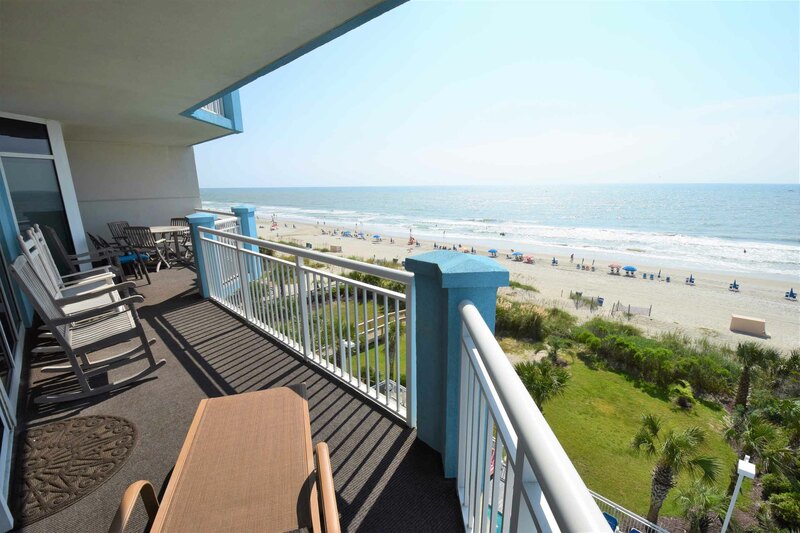 Ocean Blue 503 is located on the desirable south side of Ocean Blue Resort Myrtle Beach on 5th floor with a huge 35 foot long oceanfront balcony. Most of the bedrooms have beautiful ocean views. Note: regulations limit the maximum occupancy of the condos in Ocean Blue Resort Myrtle Beach to 14 people, including children of all ages, at all times. 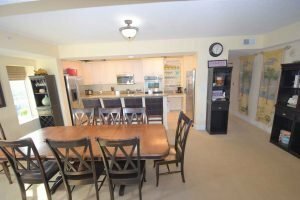 At over 2800 sq feet, Ocean Blue 803 is a 5 bedroom and 4 bathroom direct oceanfront condo in Ocean Blue Resort Myrtle Beach. Ocean Blue 803 sleeps 14 people, assuming a mixture of adults and children. We don’t recommend adults sleeping in the top of the bunk bed. 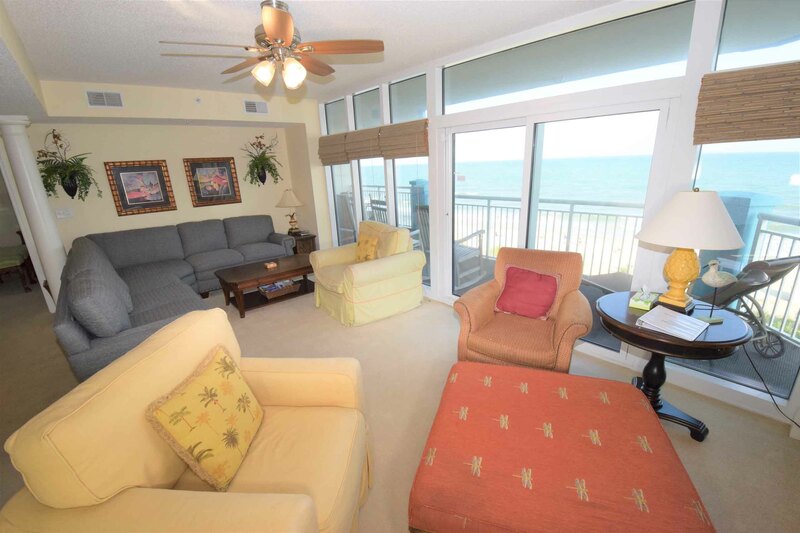 Ocean Blue 803 has a sleeper sofa. 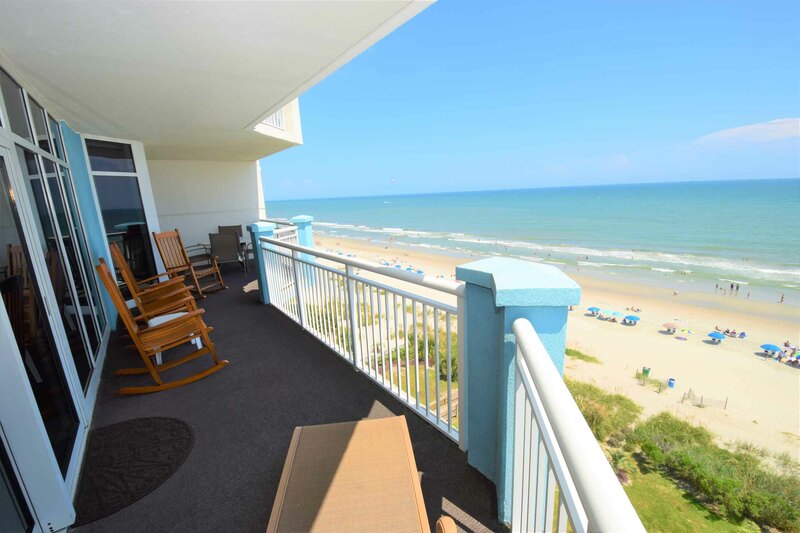 Ocean Blue 803 is located on the desirable south side of Ocean Blue Resort Myrtle Beach on 8th floor with a huge 35 foot long oceanfront balcony. Most of the bedrooms have beautiful ocean views. 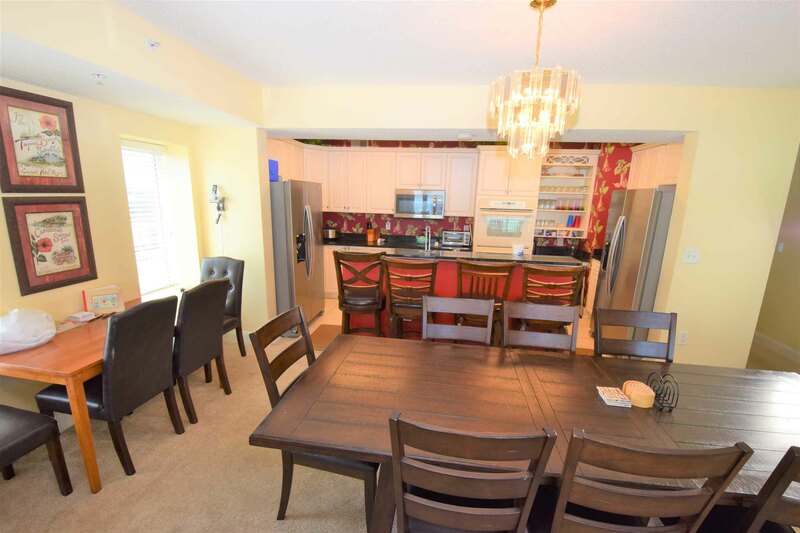 If you interested in booking, have any questions regarding the Myrtle Beach area, the Ocean Blue Myrtle Beach or availability of our condos please send us an inquiry here.